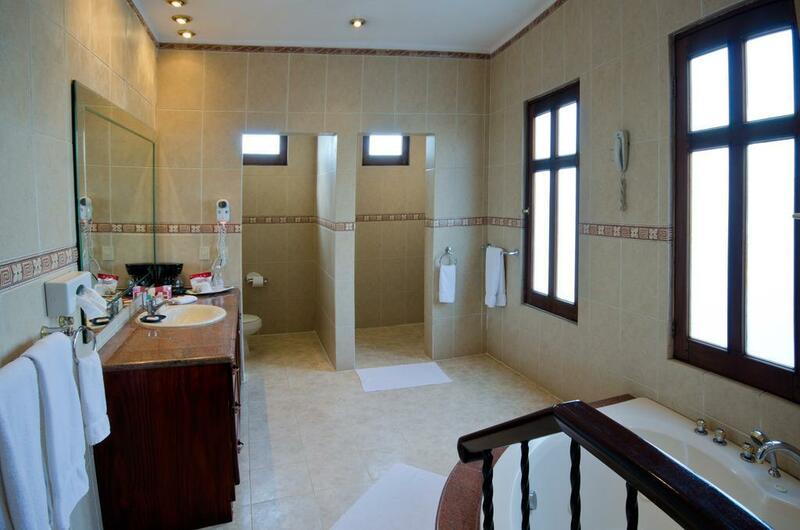 ﻿ Best Price on Boutique Hotel Palacio in Santo Domingo + Reviews! 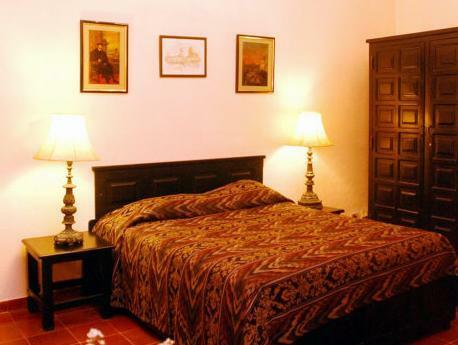 In the center of historic Santo Domingo, this hotel is a 10-minute walk from the Puerta Del Conde. It features a café, outdoor pool, and colorful rooms with a minibar. 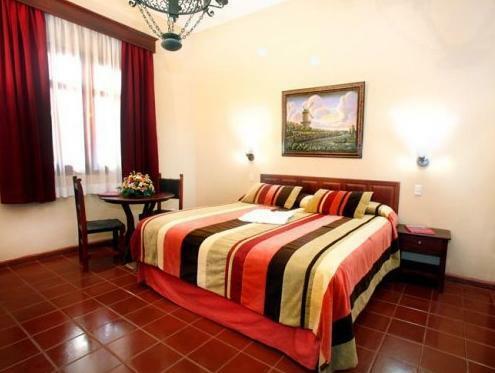 Each room at Boutique Hotel Palacio is equipped with a safety deposit box. 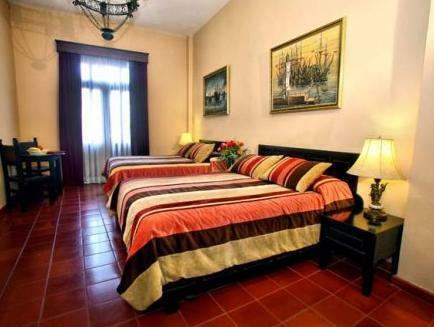 The rooms have red tile floors and offer a seating area and cable TV. Room service and Wi-Fi are available. During their stay, guests can relax in the sauna or work out in the on-site gym. The hotel’s cafeteria serves a daily breakfast buffet and offers indoor or outdoor dining. Hotel Palacio is 2 blocks from Cathedral of America. It is one block away from the Calle El Conde, a street with restaurants and shops. Breakfast for children under 10-years old is included. Guests are required to show a photo ID and credit card upon check-in. Please note that all Special Requests are subject to availability and additional charges may apply. when we arrived, they gave us one king size bed room and one queen size room, even though we pay the same price to the rooms. Then the queen size room jumped out of electricity 3 times! we asked for change the room at the 3rd time.... front desk said "we are full". and the 4th time without any electricity, we insisted changing room! and we found there are so many EMPTY rooms! It's a really pretty hotel and the staff is great. Needs a bit of paint in a few places where it's flaking and blackout curtains if you want to sleep in late. The current curtains leave some light in the middle. Breakfast buffet is OK but could be better. No hot milk. No Expresso machine. Fruit juices are way too sweet. And that's about it as far as flaws go. Everything else was perfect. Still giving it 5 stars because the staff was very quick fixing my broken jacuzzi on time and that's there most important thing. Rooms are fairly basic but atmospheric. Public areas are gorgeous. Staff are very helpful. Gym and pool nothing special. My only complaint was that the water wasn't as hot as I would have liked. Schönes Hotel mit großem, üppig mit Planzen dekorierten Innenhof. Unser Zimmer schaute zum Innenhof und war damit auch nachts ruhig. Das Internet funktionierte nur vor dem Zimmer - war aber akzeptabel, da dort eine Sitzgruppe stand. Das Personal war sehr freundlich - teilweise würde gut englisch gesprochen. Die Lage des Hotels ist perfekt - nur ein paar Schritte von der belebten El Conde entfernt, über die alle historischen Sehenswürdigkeiten der Stadt in wenigen Minuten erreichbar sind. Arrivando la sera a Santo Domingo è interessante rimanere una giornata per le visite cuklturali. L'Hotel Palacio è centrale e visino a tutto. Da consigliare sicuramente.